You know how when you go on a trip there is always something (or a few things) that you forget? Well this time I forgot my much beloved Carmex and Vegas is dry! So given my first chance I was about to purchase a new supply. 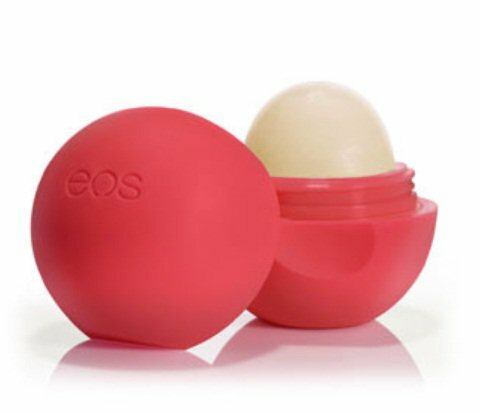 That is when I was stopped by my friend Kyle who informed me that if I bought EOS lip balm, "It will change your life!" I bought the "summer fruit." I'm not sure that it's had the level of change that I was expecting from his rave reviews but I will say this, I like it and its much better than digging my finger in my Carmex to apply it. I'll keep you posted on any big life changes because it might be due to my new lip balm. In the meantime I think I'll try some of the other varieties.